Hey everyone! It’s Home Exercise of the Week time and I have the third part here for you of the three part split routine. This week we are going to do the Back, Bicep, and Core Workout. This routine is going to get your arms looking strong and toned and is going to strengthen the ever important muscles of the back. Strong back and core muscles help prevent back problems as you age and especially if you spend many hours at a desk job, not to mention how great a strong back looks! Have fun, work hard, sweat a lot, and be awesome! Hey there! It’s time for another Home Workout of the Week and this week I have part two of a three part split routine. This workout is going to focus on the muscles of your chest, triceps, and again your abdominals. A strong upper body is important in your daily activities to help you lift things and move about more easily not to mention the great looking body that strong, toned muscles will create! This Chest, Tricep, and Core Workout is quite challenging and very heavy on pushups so take your time and modify the pushups if needed by doing them from your knees. A thorough warm-up of the shoulder girdle is definitely needed to avoid injury so please make sure you don’t neglect your warm-up. Do this routine once per week along with the Leg, Shoulder, and Core Workout and the upcoming Back, Bicep, and Core Workout. Hey everyone! Summer is fast approaching and that means less clothing and more of your body showing. Here is a new Home Workout of the Week for you to do that will help you shed some unwanted pounds and tone your legs, shoulders, and abdominals! This Leg, Shoulder, and Core Workout is part of a split routine and the rest of the workouts to go along with this one will be coming in the weeks ahead. Do this workout at a minimum of once a week along with the other routines and you’ll be well on your way to a fit and toned summer body! Note: There are a lot of plyometric moves in this routine which means high impact, jumping moves. If you are a beginner or have knee problems then I suggest you do not do any jumping and just do standard moves. For example, in the Cross Body Punch Jump Squat you would just do the punches then squat but not jump. Excessive sitting can bring about many issues related to back health. Continuous flexion of your lumbar spine can lead to disc delamination which is where the outer collagen rings of the lumbar discs start to wear away. To help prevent this try to stand up every 20 – 30 minutes and walk around. The core musculature that supports your lower back shuts down after about 20 minutes of sitting, and moving around reactivates it. 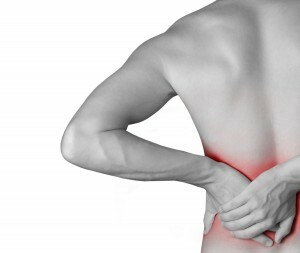 Keep your back healthy!